This was a disused, dilapidated building that was to be converted into a mixed-use retail and office space. 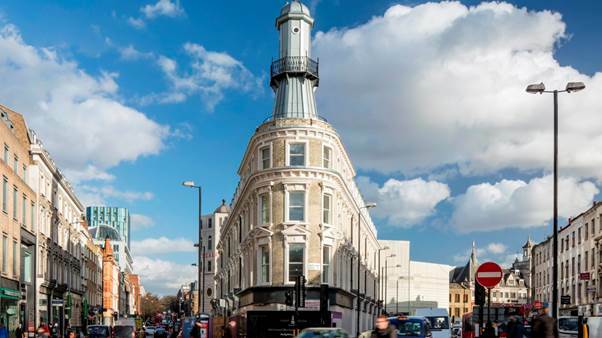 The building, situated on a busy traffic island opposite King Cross, and on a red route, made it quite a challenge to get deliveries and collections arranged. As part of the structural alterations, the façade was to be retained. This therefore required some major support work to ensure it remained whilst walls and floors were removed and a completely new structure built within. This required careful sequencing to avoid structural movement of the tube tunnels below.